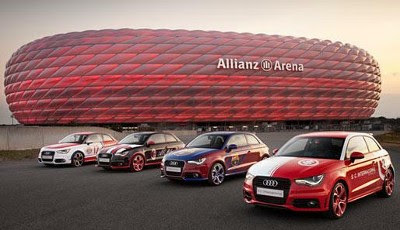 As the second edition of the Audi Cup gets underway in Munich on Tuesday, there is potentially an interesting matchup in the works that would lead to two brothers facing off on their respective teams. Kevin Prince Boateng, who plays for Serie A Champions AC Milan, is a half brother to Jerome Boateng, who recently signed for the reigning champions of the Audi Cup, Bayern Munich. Should both brothers play, this will not be the first time that these two have faced off. Last year in the World Cup, Jerome represented Germany while Prince represented Ghana. Seeing as how Germany took that match 1-0, I am hoping that our own Prince is planning some revenge on the new Bayern center back. Whether or not there have been any brotherly talks about this possible matchup is unknown, as the two were estranged following a harsh tackle from Kevin Prince on Michael Ballack last year that left Ballack, the German Captain and Jerome’s teammate, home from the World Cup. But bad blood is even more fodder for the fire, right? That said, AC Milan vs. Bayern Munich kicks off on Tuesday at 20:45 GMT at the Allianz Stadium in Munich following the Barcelona v. Internacional match. The winners of these two games play on Tuesday for the title, as the losers also play for 3rd place in the two-day tournament. Considering AC Milan finished 4th under Leo at the inaugural tournament two years ago behind Bayern, Manchester United, and Boca Juniors respectively, I am hoping that this tournament is viewed as more than just a friendly. Also, since van Bommel was the one who hoisted the trophy two years ago as Bayern’s captain after winning on PK’s, I am hopeful that he will be hungry enough for the trophy to help bring the trophy to Milan, even if it is not an important one. Bayern have a new coach this season in Jupp Heynckes. Well, technically he’s coached Bayern twice before, but he signed a 2 year deal this summer to take the reins again. Additionally, they managed to sign German national keeper Manuel Neuer from rivals Schalke 04, which should help them tremendously. In addition to the recent acquisition of Jerome Boateng, they got RB Rafinha, midfielder David Alaba on loan as well as attacking midfielder/forward Takashi Usami on loan, who is rumored to be very fast. Despite their shiny new toys, they have not looked strong in their preseason matches thus far. Also, it is reported that Ribery was stretchered off in training today with a reported ankle injury, so that is not going to help their cause at all. It is hard to know who Heynckes will put out on Tuesday, as the DFB Pokal (comparable to the Coppa Italia) starts next Monday and he may want to rest some players. But his starting lineup at their most recent friendly consisted of: Neuer; Koz, Van Buyten, Badstuber, Lahm; Schweinsteiger, Gustavo; Robben, Müller, Ribery; Gomez. Milan of course looked great in their opening friendly, except that they were playing a squad who would normally be fetching their boots for them. So this match will be the first true litmus test for Allegri & Co. 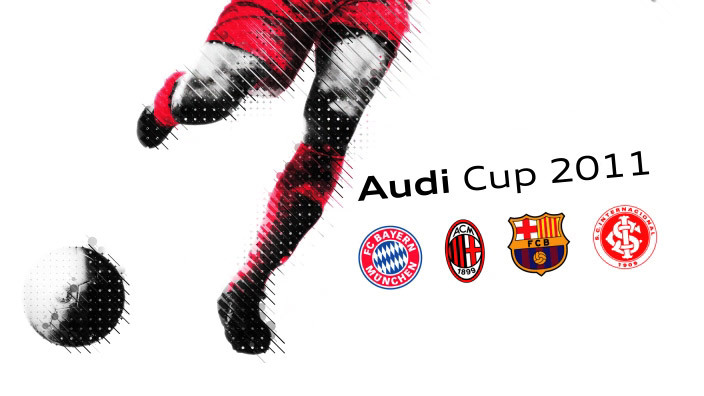 The biggest questions are how seriously Allegri will take this tournament, which is basically a chance for Audi to show off mainly teams they sponsor, or like an international friendly with a trophy at the end. With everyone’s eyes set firmly on the Super Coppa in Beijing on the 6th of August, will he risk injuries? And will he use this opportunity to look harder at some of the young players, or will this be a test run for his starting 11? With all of these questions, I am not even sure Allegri knows his starting lineup for Tuesday. Yepes and our Brazilian trio are reportedly due to report back tomorrow, but I wouldn’t consider it likely for them to play having just come off of Copa America duties a week ago. However, I wouldn’t rule them out, either, especially as subs. My best guess is that Milan will start a fairly strong squad but that Allegri may not risk a few key players or those prone to injury. However, I have been wrong before, so I am certainly not putting money on even that. Anyone who correctly picks the starting lineup before Tuesday gets 100 internet points from me and also will be examined for possible ESP abilities. Whoever plays, I wouldn’t mind seeing Milan play in the Cup final against Barca on Wednesday. Although the assumption that Barca will be in the final may be presumptuous, as they played a relatively lackluster friendly against Croatian side Hajduk Split on Saturday, albeit with a lot of non-starters on the field. Still, we should definitely aim to beat our 4th place finish from 2 years ago. And who knows, if we do get to face off with Barcelona, maybe it will be a warmup for a Champions League final match later this season back in Munich again? Either way, here’s to a good preseason tournament. May the best Boateng win.